From the grand opening of the Don Myers Technology and Innovation Building and the construction of the upcoming Hall of Science, to the wide range of high-impact research taking place in every STEM department on campus, it is clear that American University is committed to investing in science and research. Health research has become an increasingly strong priority for the university. In each STEM department, faculty and students are using their specialized lenses to study a particular aspect of health. These lenses span from the microbiology level to the macro-social determinant level and include computer simulations and pathway mapping, wet lab experiments and psychological studies, and a variety of social research projects. American University believes that multiple perspectives are critical to addressing the great issues of our time, and thus aims to invest in a foundation of cross-disciplinary inquiry. One of the concrete steps towards doing that is the appointment of Kim Blankenship as the new associate dean of research in the College of Arts and Sciences. Blankenship is an internationally-respected sociologist who studies the social determinants of health such as race, class, and gender inequality to address persistent health disparities. Her work has a particular focus on HIV/AIDS. She has been the recipient of funding from the National Institute of Mental Health, the National Institute on Drug Abuse, the Bill & Melinda Gates Foundation, and the Centers for Disease Control and Prevention. She has been a professor of sociology at American University since 2010 (except for a brief period in 2017) and has served both as chair of the Department of Sociology and as the founding director of the Center on Health, Risk, and Society, which fosters development of an interdisciplinary community of scholars engaged in research applying social science theory and methods to studying health. In addition, Blankenship serves as the co-director of the social and behavioral sciences core of the NIH-funded District of Columbia Center for AIDS Research, the first multi-university center of its kind. Blankenship has made lasting and far-reaching contributions to our university community, the District of Columbia, and academia at large. 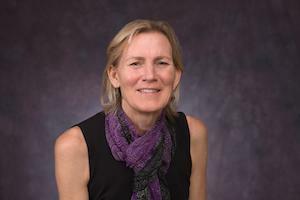 Her new position as associate dean will amplify her role in increasing the quality of interdisciplinary research on health and other important issues and questions of concern to the AU community. Blankenship says that one of her overall goals in this new position is to facilitate creation of an environment where everyone—across the many disciplines represented in the College—feels excited and empowered to pursue and valued for their research and scholarship. She also believes some of the best and most exciting research ideas come from seemingly unusual collaborations across disciplines, and she aims to highlight the value of bringing multiple perspectives together to reflect on issues such as health. “Health is, in some ways, a broad but also good anchoring point because it brings in a lot of different types of science, social and physical, and certainly history, and even literature overlaps. It’s a theme that is relevant across lots of different disciplines and approaches,” Blankenship says. She also stresses that health is only one such area: there are many important issues that can benefit from insights from multiple perspectives. With her extensive research, leadership, and collaborative background, Blankenship will help to harbor long-lasting and fruitful relationships across disciplines that will work to address the issues of our time and continue to grow the academic foundation of AU.